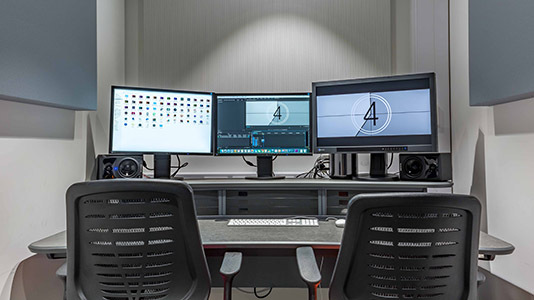 There are seven Editing Suites available for concurrent use. 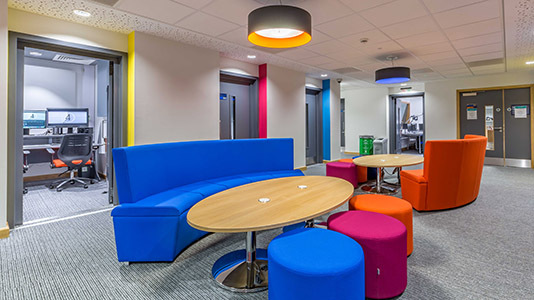 They are all air conditioned and acoustically treated. 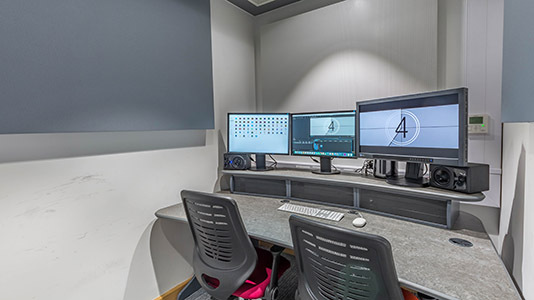 The Suites are ideal for editing video, sound and recording quick voiceovers. 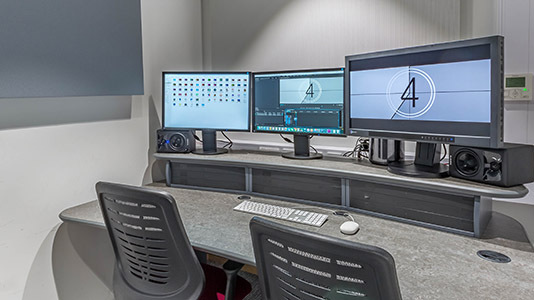 All Editing Suites are networked with an ultra fast 10Gb/s network, making it possible to edit and grade whilst sharing production files at blistering speeds. 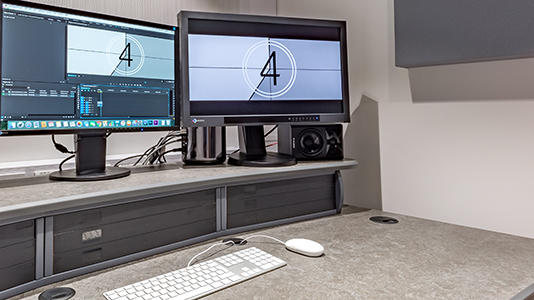 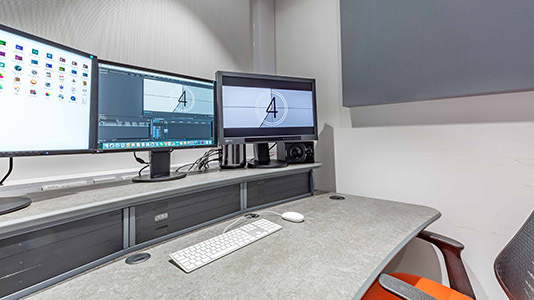 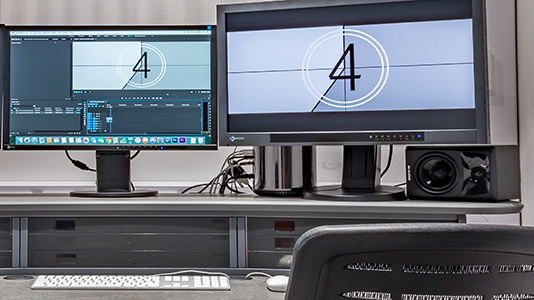 The Editing Suites are part of Elephant Studios at LSBU – multi-million pound multidisciplinary studio facilities at the forefront of digital technologies and multimedia creative practice.